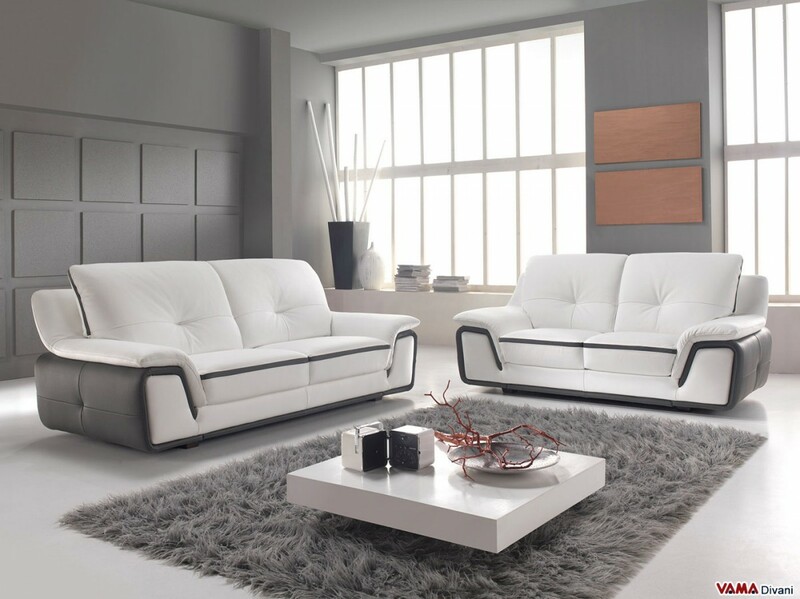 Contemporary sofa in white leather with taupe details and a bold and modern look that is characterised by a great comfort and a great strength. Compared to the most common contemporary sofas, the Lapka one features a large and high back which makes more original its structure and improves its comfort. The contemporary Lapka sofa is a very interesting piece of furniture: while presenting a typically contemporary style, with smooth surfaces and accurate lines, this sofa even offers a large and higher back. This special and definitely not usual feature in contemporary sofas, gives it a very attractive style while optimising its comfort. The particular design of its arms makes the style of the Lapka sofa so bold; the careful choice of materials, both relative to its upholstery and to its frame, provides high strength and high resistance. 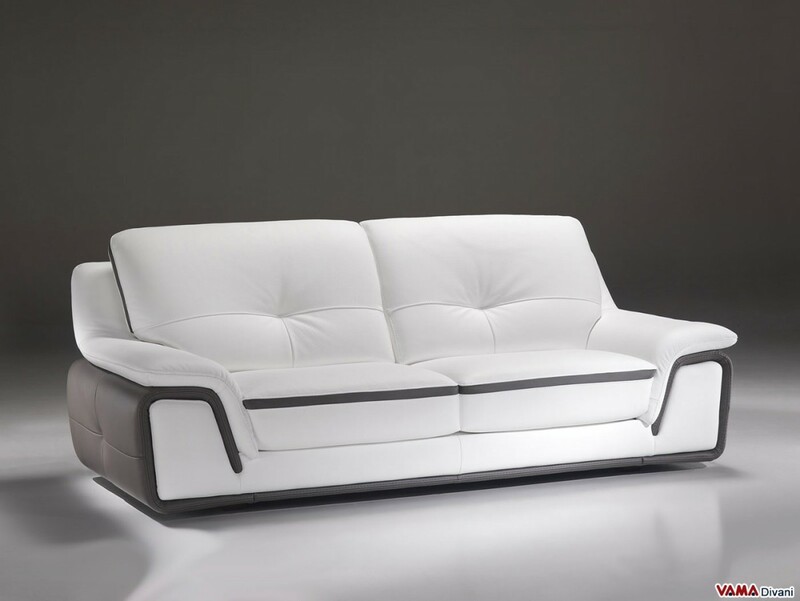 Upholstered in white leather with significant taupe details, this 3 seater sofa can be well placed in any space characterised by different styles. 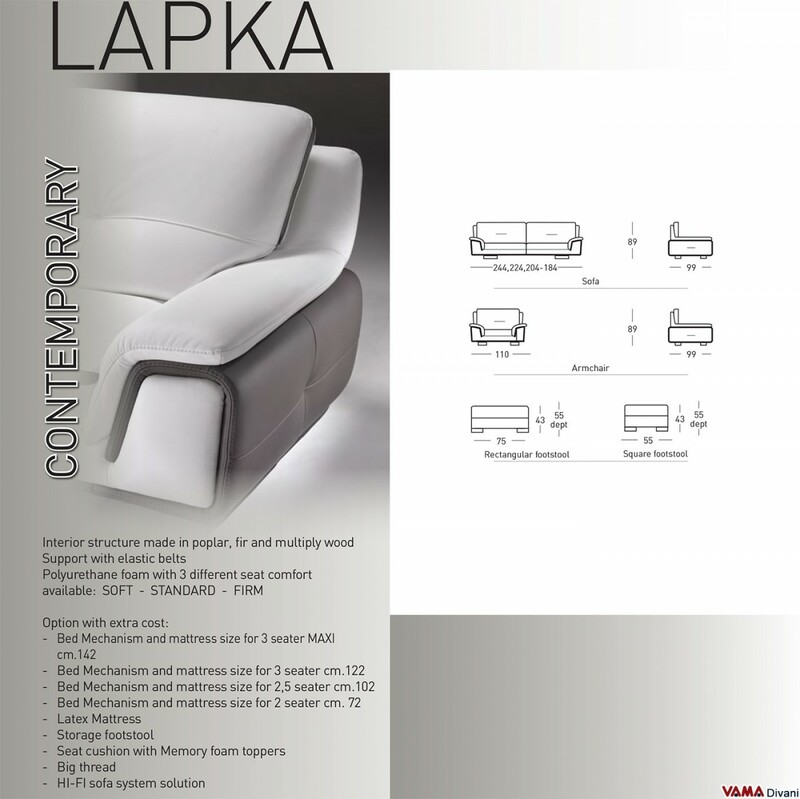 The Lapka sofa can be realised in any custom size.